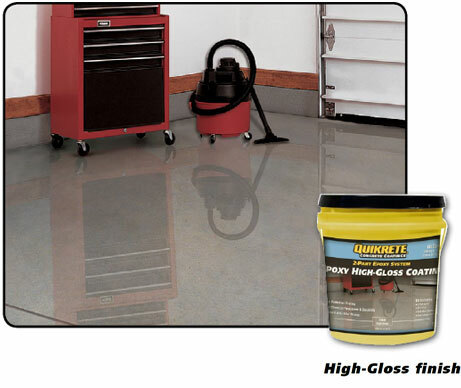 QUIKRETE® Epoxy High-Gloss Coating (No. 0703-55) provides is a high solids, clear protective coating that provides superior chemical resitance and durability. Ready-to-use immediately after mixing.